Here at Castle Rock Microwave we are constantly evaluating different tools, software apps, pieces of test equipment and methods to help streamline our broadband wireless deployment and maintenance obligations. There is no end to the amount of money one could spend in these areas. We all love the pull of new toys (…er, tools), but none of us have unlimited budgets. We want to help you identify the “tools of the trade” for the broadband wireless technician and field engineer, and help guide you through the right time to make the investment in each. Everyone should have the right tools at the right time in order to be the most effective in their jobs and have a successful outcome in whatever task they are performing. It goes without saying that there is minimally a list of necessary, non-negotiable hand tools that everyone needs; a full compliment of screwdrivers (big and small, flat and phillips), allen wrenches, combination crescent/box wrenches and socket sets, a full set of ratcheting (or “speed”) wrenches, portable power tools, tape measure, torpedo level, lug crimpers, wire strippers, side cutters, needle nose pliers, a simple CAT5e / CAT6 continuity tester, digital voltmeter, a good compass with inclinometer, binoculars and a digital camera. This list isn’t exhaustive, but your first installation generally dictates what tools you will need most of the time. Additionally, it’s critical to have manufacturer-recommended coax stripping and termination tools. We keep tools on hand for LMR-400 and LMR-600 as well as 1/2″ Heliax. These are the three most popular types of coax for our deployments. We also use manufacturer-recommended (i.e. 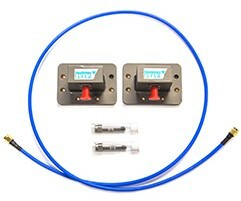 not cheap) CAT5e and CAT6 termination tools that are specifically intended for the type of connectors we use from Sentinel Connector Systems. We discourage “utility” tools like utility knives, adjustable wrenches, vise grips, most pliers and striking tools. These items are rarely necessary and often cause damage. Use the right tool for the job, every time. With the sophistication of newer broadband wireless radios, one might think that fewer pieces of test equipment are necessary. Some newer products have built-in spectrum analyzers. There are even a small number of radios with built-in bi-directional couplers and VSWR measurement capabilities. However, if you support a wide variety of radio products, like we do, it is hard to count on having everything you’ll need built into the radio, every time. As a result we believe you need the following pieces of test equipment, in this order of importance. Broadband power meter: We’re a huge fan of the Praxsym t-meter. It’s an inexpensive device to measure the transmit power of a radio, test coax connections, indicate VSWR of the transmission line and validate the integrity of an antenna. This saved our bacon recently while troubleshooting a licensed-band 6GHz radio system. It would have been nearly impossible to isolate the bad radio without this device, even on the bench. The radios would not link up and we couldn’t tell which radio had a bad transmitter or a bad receiver. Within minutes we connected the Praxsym t-meter PM-6000 to each radio in order to identify the radio with a bad transmitter. This tool will save hours and days of time on long wireless paths. Cable and antenna analyzer: Many wireless carriers, utility companies, public safety agencies and high frequency trading firms require “line sweeping” on transmission line (coax and waveguide) installed in their systems.. There are a handful of options available (Anritsu, Bird, Agilent, Keysight, Kaelus), but the field narrows as frequency increases above 6GHz. Sweeping transmission and antennas is critical in establishing a baseline performance measurement at the time of deployment. This is helpful in identifying problems over time, as well as validating the quality of an installation. We have opted to purchase a cable and antenna analyzer with a built-in spectrum analyzer that goes up to 20GHz from Anritsu, the VNAMaster MS2038C. Spectrum analyzer: More and more radios come with built-in spectrum analyzers. This is a really handy feature, but on occasion it is necessary to have a separate, portable device. 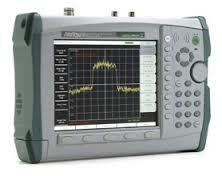 A stand-alone spectrum analyzer is very helpful in detecting interference. It can also allow you to verify that a radio is transmitting, from the ground. We have used portable devices from HP, Anritsu and others, and we own an Avcom spectrum analyzer for the license-exempt frequency bands. We have also recently invested in a more full-featured unit that will allow us to pursue projects below the microwave radio bands, like in-building wireless (BDAs, DAS, LMR, etc). Finally, there’s a neat new family of spectrum analyzer products available from SAF Tehnika that we believe will address the needs of most broadband wireless technicians and field engineers, in the microwave bands. A noteworthy nugget regarding the SAF Tehnika spectrum analyzers is that they can be purchased in segments of frequencies bands, making the barrier of entry (cost) very palatable. Ethernet throughput testing: Almost all of the microwave work done today involves Ethernet transport. Many customers and end users want some proof or indication of the quality of their wireless system in terms of maximum Ethernet capacity and latency. There are a lot of inexpensive ways to do this (using a pair of PCs), but they are generally not very accurate or conclusive. Many customers require the use of a device that can provide RFC2544 test results. This allows the system to be ‘stressed’ at various frame sizes and speeds to find the performance limits of the wireless system. 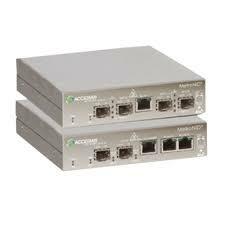 Valuable information about latency and jitter can also be obtained with this kind of equipment. There are many sources available, but we have the most experience with JDSU (now Viavi). We have also witnessed others effectively use NIDs (Network Interface Devices) as a less expensive alternative to a hand held test device. These devices are basically small form factor computers with a web-based interface that can be used to run the same types of tests as the test equipment described above. This equipment is usually most helpful in pairs. One device on each end. One such manufacturer of this type of equipment is Accedian. TDM BER tester: Perhaps the dustiest piece of equipment in our cache, it is certainly not the least valuable. It’s a rare occasion that we install radios with T-1 interfaces, but when we do it’s quite helpful having the right equipment on hand to verify that T-1 traffic is properly traversing the link. Often, the customer’s telecom equipment will provide this assurance, but dedicated test equipment is a consistent mechanism to validate operation. 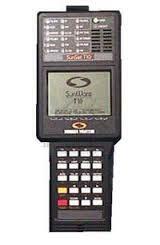 We use an older piece of test equipment from Sunrise Telecom, the Sunset T1 tester. These are fairly plentiful, and inexpensive, on eBay. In addition to the hand tools and test equipment described above, we maintain a kit of waveguide to coax transitions for 6, 11, 18 and 23GHz, short precision coax cables and attenuators to allow us to bench test radios before deployment as well as to aid in the troubleshooting process. We also sell these kits to folks that want to have them on hand. There are certainly other helpful tools that we keep handy, and a long list of devices that we would like to have. Our “nice to have” or “someday” list includes; a laser ranger finder like the TruPulse 360B (for measuring structure and antenna heights), an earth ground tester from Fluke or Megger (measuring ground loop resistivity and ground rod testing) and a GPS-enabled high-resolution camera. A mobile phone can provide geo-tagged photos, but a high-resolution standalone camera is required to provide crisp detail on a radio or antenna hundreds of feet above the ground. Finally, we hope some day to get to play with some of the antenna alignment tools from Spectracom, Sunsight or 3Z Telecom. There’s no question that the hand tools described above are a necessity and non-negotiable in terms of timing. You minimally have to have these tools to successfully deploy and maintain a broadband wireless system. We recommend minimally having a Praxsym t-meter, or comparable on hand immediately, because it is relatively inexpensive and can save a tremendous amount of time in troubleshooting systems 6GHz and below. Depending on the types of radios you install and support most often, some of the other pieces of test equipment are more critical than others. Generally speaking, test equipment should be purchased as it can be afforded. A great way to accelerate your time to purchase is to find a reliable source for used equipment. We generally wouldn’t buy any equipment until we’ve identified a period of time in which our rental costs would approach or exceed the cost to buy the equipment new. The inability to afford test equipment isn’t an excuse not to have it when it is needed. Test equipment in each of the categories above can be rented on a short term basis, so that is an excellent way to overcome the issue of cost. Do you have a tool or piece of test equipment that you simply cannot live without? Share it here, please!